All our flours and grits are Gluten Free, Allergen Free and GMO Free. We do many controls to assure a constant quality and highest safety, guaranteeing the absence of any kind of allergen. We start from the supply chain, controlling the harvesting, then we analyze all raw materials before storing them and finally we analyze the representative sample of the production. In addition high-tech milling equipment permits MartinoRossi to obtain high quality flours. We have dedicated processing lines for cereals, pulses and superfoods and for native and heat-treated flours, allowing us to different productions at same time. MartinoRossi is equipped with mixing lines to produce the customized mix that our customers wants, allowing us to mix cereals, pulses and superfoods flours and even vegetable powders. 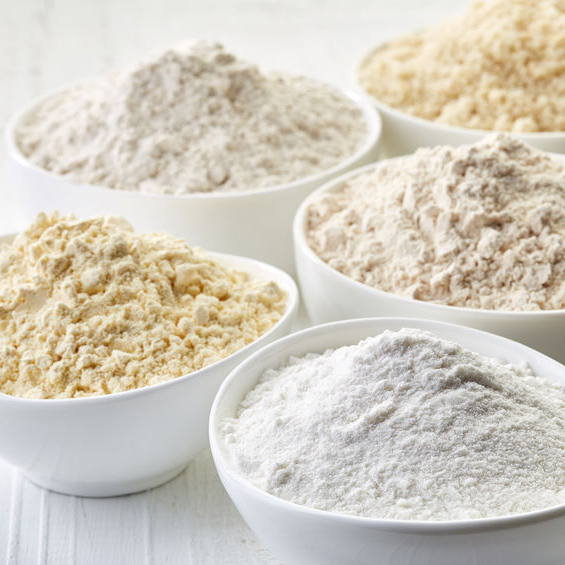 The Heat Treated Flours undergo a process that enhances their water absorption and increases the product’s viscosity by the gelatinization of the starches which leads to a better final product. The flours’ cooking process allows the dejection of the bacterial load blocking the activities of the enzymes which are responsible for the rancidity process; this provides a remarkable gain in terms of the products’ shelf life.